Skype has become the first Android app to offer a "picture in picture" window that lets you see your video call even when you switch away to other applications. It's similar to Windows 8's Snap View, but with an Android twist. 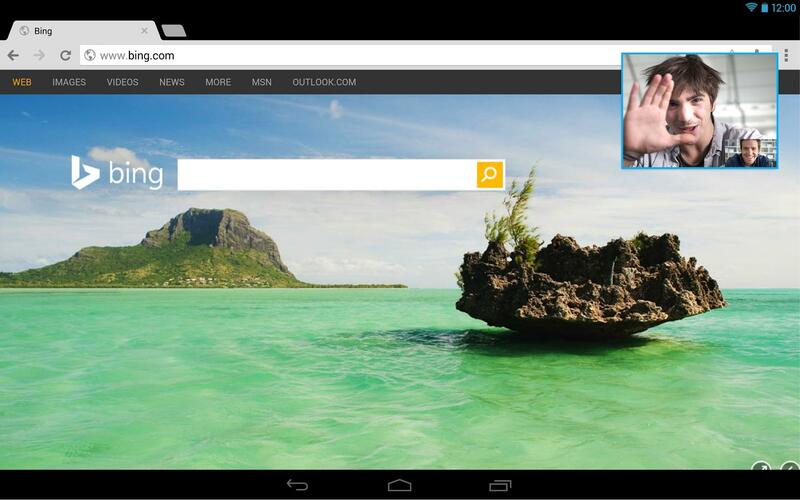 Now you can multitask while you’re on Skype video calls, as well as audio calls. This feature is only available on tablets. The window is re-sizable, right?